….Paul Simon writes great songs. George Harrison great songs, a lot of people, Eric Clapton produces wonderful music. 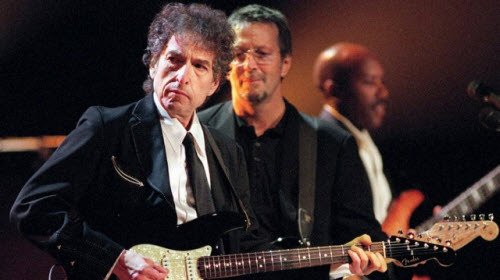 We celebrate Eric Clapton’s 72th Birthday with a collection of Bob Dylan covers, both live & studio versions. The day the setlist changed…. Great video & nice performance. This ranks high as one of the most important boot releases of all time, and on top of that, it’s simply a thrill and a joy to just sit back and listen to. If you’re only planning on getting one bootleg this decade, this is the one. Hands down. 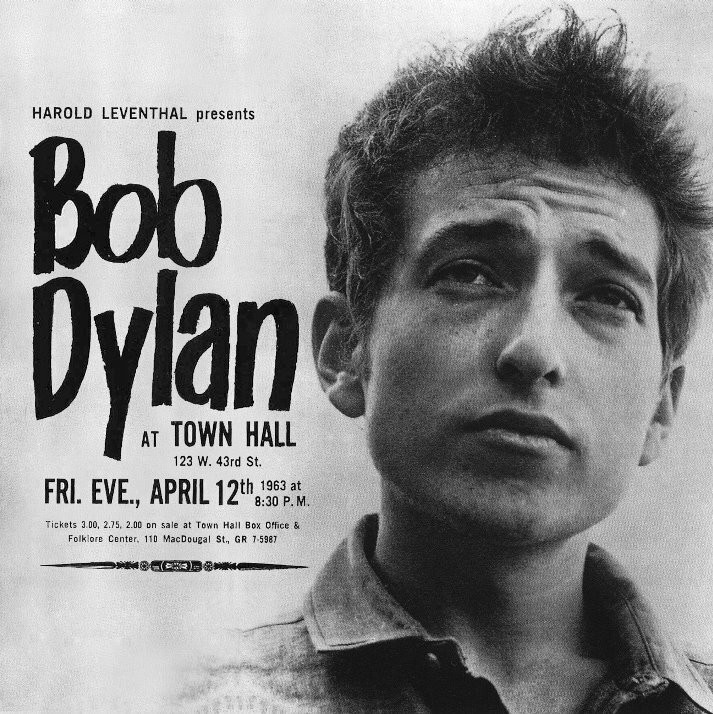 Bob Dylan plays his first major solo concert at a major New York concert venue; Town Hall. He still hadn’t released his groundbreaking second album and chose only to play 3 songs from his first album. A confident young Dylan mostly playing songs unknown to the audience & ending with a long spoken poem called “Last Thoughts on Woody Guthrie”. The Town Hall was about three-quarter full…. not bad considering his only released album had been a “flop”. 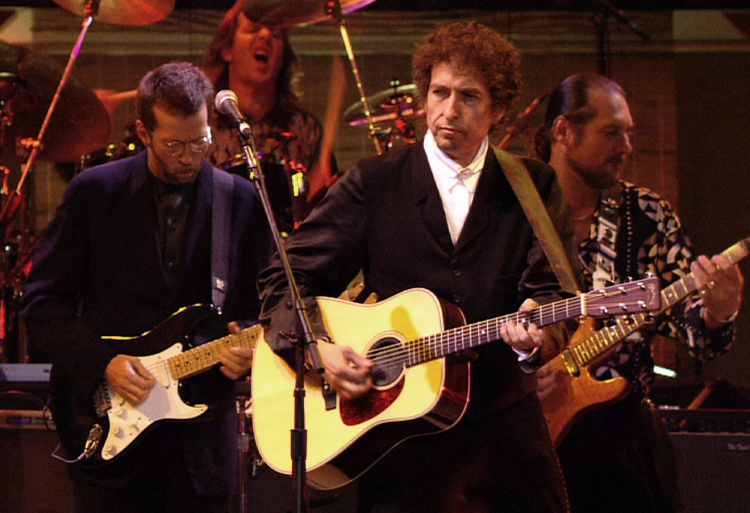 It is a GREAT concert… a “must” for any Dylan fan. 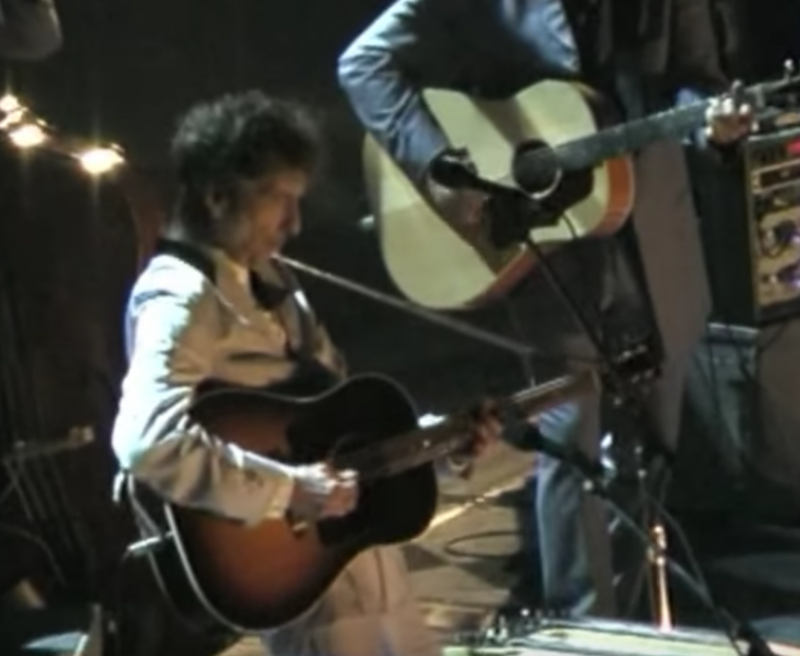 The first bootleg recording (with some songs from the concert) started circulating in 1970. The full concert recording started circulating in 2008 (superb soundboard sound).